You have your gels lined up for race day, you have your gummies and outfit color-coded for instagram, and you have your powder packets ready to be dumped into your water bottles – but do you know what these things are made of? do you know what they are actually doing inside your body? do you care? I sure hope so. Sugar, sugar, and more sugar. We use packaged gels, powders, and gummies during our long training sessions, but why? Is it necessary? Are you doing long-term damage to your health? For most (full-on keto people need not apply), our main source of fuel is glucose. Glucose is stored in our liver and in our muscles as glycogen. We can store enough glucose in our muscles for about 2-2.5 hours of intense exercise. After that we either bonk, or for the metabolically flexible, begin to burn fat for fuel. It takes training and a drastic dietary change to be able to switch over to the use of our own fat for fuel without major repercussion and for it to have glycogen sparing benefits (this I highly recommend)… but for the sake of this piece let’s just talk about sugar burning. Over the last two months I experimented with three endurance products: Skratch Hydration Mix, Tailwind Endurance Fuel, and GU Roctane Energy Mix. I’ve had enough bad experiences with energy gels in my past so I wanted to see how my body responded to the liquid energy approach. Spoiler alert: really well. Maltodextrin is an artificially produced white powder that causes a giant spike in your blood sugar. It’s usually derived from corn, which means it is more than likely GMO and contaminated with toxic glyphosate. It’s a polysachharide, a long chain of glucose molecules which break apart in the small intestine. When they can’t get transported into our bloodstream quick enough, they begin to get restless and wreak havoc in our gut causing those awful cramps, bloating, and the all too famous “sudden urge.” The most interesting study I came across was that the specific enzyme that metabolizes maltodextrin is actually inhibited by high levels of maltodextrin (1) . This suggests that a diet rich in maltodextrin could actually overwhelm the enzyme needed to break it down. This results in our bad bacteria feeding off of these sugar molecules, fermenting, releasing gas, and changing the composition of our microbiome. It is also found to inhibit our intestinal anti-bacterial defense mechanisms (2). Simply put, it suppresses the growth of our good bacteria, which is bad news in regards to absolutely everything regarding health. Thanks for asking. Maltodextrin-based drinks consist of an engineered chain of dextrose molecules. The chains have to be digested (broken) in the small intestine before the dextrose (glucose) can be absorbed. This has the effect of delaying and slowing the absorption of fuel from the small intestine. Using maltodextrin products once or twice a week during your long training sessions is probably not a big deal if you’re eating a whole food diet. The problem lies in maltodextrins appearance in processed foods as a thickener and preservative. It can be found in sauces, chips, soups, baked goods, dressings, jerky, yogurt, splenda, and even in your supplements. So this comes back to what the study that I mentioned earlier eludes to: too much maltodextrin blocks its own breakdown. So if you’re eating a lot of packaged foods AND using performance products with maltodextrin in it, you very well could be setting yourself up for a race to the bathroom instead of a race to the finish line. I don’t want to dump on it too, too badly, so a positive to maltodextrin is that yes, it spikes blood sugar and refuels your glycogen stores, so it can be used as a refueling strategy during or after a long session (but if available, please choose real food). I would personally only use it in those desperate times, and those desperate times only. Some people have no problem with maltodextrin, but it is a known gut destroyer (2) so just because you tolerate it well now, doesn’t mean prolonged use may lead to a more serious metabolic condition. There are so many other resources out there to refuel with, especially if you are at home. Molasses, raw honey, dark maple syrup, dates, and whole fruits are all great and effective natural sugars to replenish your body with. SUMMARY: Maltodextrin is everywhere. I eat a diet predominately of whole foods, so when I set off for a long day on the trail with GU’s Roctane fuel powder, I handled it just fine. My enzymes were in tact and took care of the transport very efficiently. A few years ago when my diet was mostly packaged foods and then I would race and use gels, I would always experience stomach trouble. The key is to clean up your diet when you’re not racing, and if you must use a product with maltodextrin, train with it once a week to keep your body familiar with it so it doesn’t implode on race day. Finding your sweet spot of just enough but not too much is crucial for your body’s digestion of it. Think about your long-term health. When you think about your life after racing how you do you envision your health? Are you still battling the sugar cravings? Are you still reaching for the energy bars? 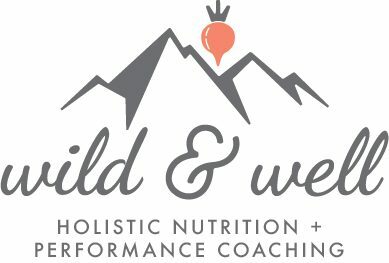 Are you still eating like an endurance athlete but without the training load? Or have you replaced your packages with whole foods? Dialed back your sugars and eased up on your intensity? Make some swaps now, one at a time, so that when you start to slow down athletically, you have healthy habits already in place that will make the transition much easier. **Another strategy to decrease maltodextrins’ negative effect on your gut is to try a “Carbohydrate Mouth Rinse.” The premise behind this is to slosh the drink mix around in your mouth to activate your oral receptors, creating an ergogenic effect without the gut disturbance. More research needs to be done on this, but this study (3) suggests improved performance for those who did the mouth rinse and those who didn’t. Although, it may be purely physiological. But either way, it could be an option and fun experiment for your next long training session! As I mentioned earlier, we have enough glucose stored up for about 2 hours, so if you are exercising for longer than that, and rather intensely (elevation gain anyone?) than you should be refueling with glucose along the way. Metering it in through a liquid is what has worked really well for me. I like Tailwind for long days out on the trail because it’s a clean product with 200 calories per pack. Skratch has a super clean product as well, but only 80 calories per pack (they suggest eating real food and using their stuff for hydration needs). As Tailwind suggests, I meter it out over my day. Small sips here and there keeps me energized and focused, not jittery and wild. Since I train with a small camelback and keep it as light as possible, getting calories in through my water source has been a new and effective strategy for me this summer. Too much glucose can lead to problems as you can probably already guess. If you’re insulin resistant your sugar will be left hanging out in your bloodstream. Your body does not enjoy this and has it sent to the kidneys for filtration and then excreted out through urine. Water exits with the sugar, leaving you in the bathroom, constantly thirsty, and with an overworked kidney. Actually, tasting urine for sweetness is a former method of diagnosing diabetes (4). Now I’m not saying you need to taste your urine, but if you’re peeing a lot and it smells sweet, I’d go see a doctor and ditch refined carbohydrates immediately. Other symptoms of too much glucose are increased swelling in the arms, face, and legs, stomachaches, blood sugar roller-coaster (fatigue, anxiety, irritability, moodiness, brain fog), and dry skin. A disachharide, 50/50 glucose:fructose. Simply, it’s table sugar. Commonly extracted from sugar cane or sugar beets (GMO?). It’s a naturally occurring carbohydrate found in many fruits, vegetables, and grains, but it’s also added to many processed foods, such as candy, ice cream, breakfast cereals, canned foods, soda and other sweetened beverages. The enzyme sucrase, which is made by the lining of your small intestine, splits sucrose into glucose and fructose. They are then transported into your bloodstream by two different transport mechanisms (5). Glucose is used for energy and fructose is converted in your liver into glucose for energy or stored as fat. The combination with glucose increases the amount of fructose that is absorbed, so it benefits athletes that burn it off right away, but can be a huge health concern for less active people as it can overburden your liver and be used to create fat (6). Therefore, fructose on its own in the form of honey and fruits is a more healthful choice for days when your output is low. Since sucrose is a disaccharide, it must be broken down before your body can use it. Enzymes in your mouth partially break down sucrose into glucose and fructose, and acid in your stomach breaks it down further. And as mentioned earlier, your small intestine takes care of the majority of the sugar transport. We can only absorb 1g of carbohydrate per minute. That is 60g per hour. If you exceed this amount you should be prepared for some GI distress. It’s important that whichever product you choose, you keep this figure in mind. I just can’t get behind the use of maltodextrin, especially when it is GMO. My experience with their Roctane Fuel was fine, as I drank it over the course of many hours on a long and challenging hike, but I can’t help but think that it would have given me trouble if I drank it faster. I have used their gels in the past, and although they have rescued me for a few minutes from a slump, they would without fail give me stomach issues later in the race. There also is no need for them in any event longer than 2 hours. I would stick to pure water or an electrolyte drink to keep your fuel clean and your stomach at bay. For events over 2 hours I would have a caloric drink mix in your water bottle, and if you love the convenience of a gel, look for more natural ones such as Muir Energy or Spring Energy. I like ingredients such as chia, honey, molasses, whole fruit purees, sea salt, vanilla bean extract or an essential oil for flavor, and caffeine from green tea or espresso. Just remember the golden rule, train with what you’re going to race with! The stomach is highly adaptable, so train appropriately. I think Skratch is a great company with whole food ideals and an excellent hydration strategy. Their hydration packet is just that, meant for hydration and not to even out a caloric deficit. They use hard science to create a product that allows the body to transport water the way it is meant too. They don’t overload you with sugar, they put in just the right amount to keep your stomach settled and muscles hydrated. For long endurance races, they recommend getting your calories in from real food, which I stand behind 100%, but it’s just not that easy for a lot of racers, especially runners. Cyclists can get away with this easier, because they don’t have the rumble and jumble of a run, and can carry a lot of items in those jerseys. But for runners? Processing whole foods requires processing fiber, which can take a long time and then you have the risk of it fermenting in your gut, causing bloating and cramping. My best recommendation if you are using this approach is to mash up the food you’re eating (maybe a pureed organic baby food pouch? ), peel off the skin (most of the fiber is in the skin), and maybe supplement with a digestive enzyme or charcoal tablet to help prevent it from building up in your stomach. In this race day scenario I would choose foods for a quick spike in blood sugar, which is basically all the white varieties of carbohydrates. White potatoes, white rice, white bread. Not nutritionally dense, but since we are speaking only about blood sugar spike and replenishment of glycogen, these foods will more than likely be your best bet. Experiment, experiment, experiment! Tailwind gets 1st place in my experiment because it fits my lifestyle the best (bias?). It’s a Non-GMO product with the right balance of sugars and electrolytes that kept me fueled for long days on the trail. I like to keep my pack light, so with liquid calories I am able to do just that. It has 200 calories in a pack of sugars and electrolytes and its ingredients are meant to be slowly metered out. They recommend one pack per hour or two, but I find that I can’t get through it that quickly and I am best suited to slowly sip to thirst. Another well researched company, the owners took great consideration of endurance athletes’ greatest complaints, and made a product to best combat them. I found my best days out of the trail while using Tailwinds product. I didn’t come home with a dehydration headache that I normally always get when I drink only water, and I didn’t experience any gut problems while out on the trail. They have a variety pack that I highly suggest buying to begin playing around with. Again, no need for a products like these if you aren’t either sweating or moving at intensity for long durations because excess sugar is a major health factor in people who don’t use it readily. Only use these performance products when you’re having a big day out there, and replenish yourself with whole foods and sea salt whenever you’re back in town. Lastly, because it can’t be said enough, we are all biochemically unique and have different lifestyles, so just because Skratch and Tailwind work for me, does not mean they will work for YOU. 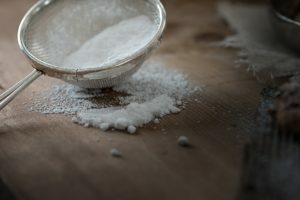 I hope I have provided enough information of the main players in the sugar category to give you a good feel of what to look for in your next product, and what to leave on the shelf. Stay tuned for Part II where I break down the differences in the electrolyte forms they use, as well as the reasons behind some of the extra stuff they put in their product! I offer free 15-minute nutrition and lifestyle consults right here on my website. Get a hold of me if you have any health concerns you’d like to get to the bottom of! Also, I send out a newsletter every Friday with additional information on health and wellness, as well as my information on my day-to-day, sign on up on my website!